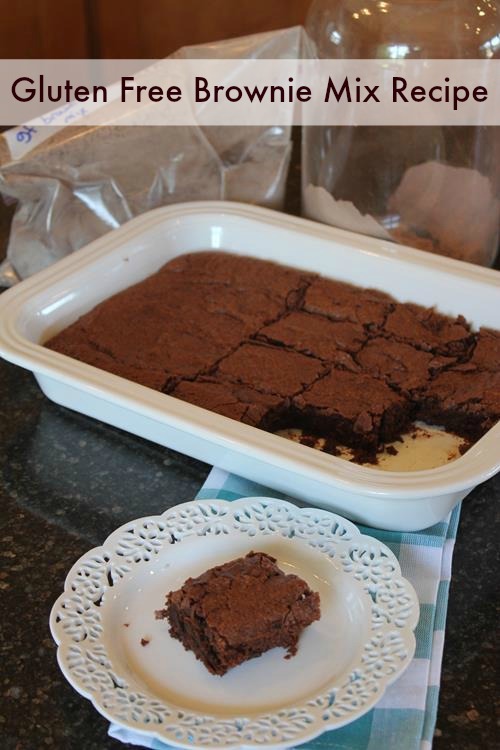 Gluten free brownies are easy to make at home using this Gluten Free Brownie Mix Recipe! 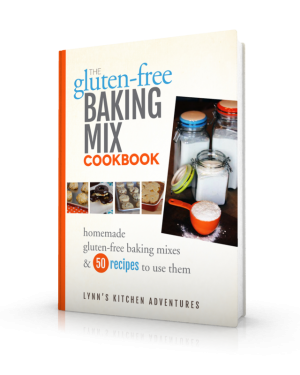 It has been three years since I launched my ebook the Gluten Free Baking Mix Cookbook. I can’t believe that it has been that long. I still love and use so many of the recipes in that ebook. I almost always have a container of the master baking mix in my refrigerator. I love keeping it on hand for quick and easy gluten free food. 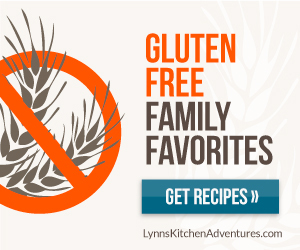 Over the last couple of years I have continued to work on new gluten free mixes and recipes. Today I am sharing one with you. This recipe doesn’t actually use my gluten free baking mix. This recipe is for a totally new mix. It is for a simple homemade brownie. Just like the kind you get in a box at the store. 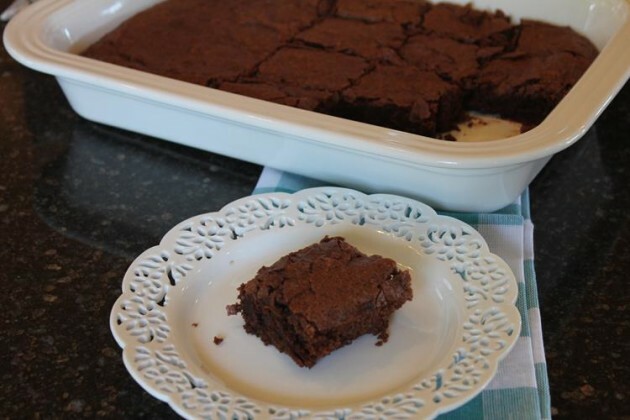 Before I went gluten free brownies were one of my favorite quick and easy go to desserts. They work great for a simple dessert. They also work great for serving company or taking to a potluck dinner. After I went gluten free I had trouble finding a store bought gluten free brownie that I liked. They were okay, but none of them were the same as the gluten filled version. So I went to work on creating my own. With quite a bit of tweaking and adjusting I came up with a version that my family loves. These are so close to the real thing both in taste and in texture. 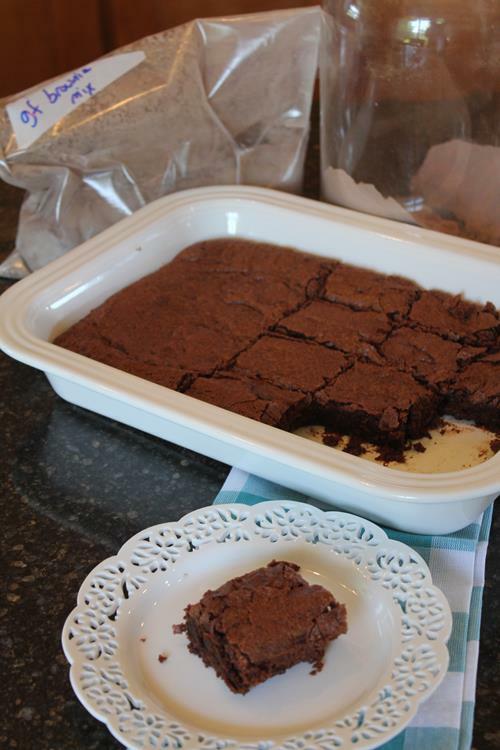 Both the gluten free eaters and the none gluten free eaters enjoy these brownies. You can easily make just a batch at a time of this recipe. Or you can make up several bags of it to keep on hand for a quick dessert. You can also three or four times the recipe and place it in a large jar or container. Then you just scoop out what you need to make a batch. It is quick, easy, and delicious! Mix ingredients together and place in a container, jar, or zip top bag. Mix together just until combined. Spread into a 9×13 pan and bake at 350 degrees for 22-23 minutes. Note: I like to make this as one recipe per zip top bag. I label the bags and save them to refill next time. This way I can just dump the ingredients from the bag into a bowl to mix. You can also three or four times the dry mix ingredients and place them in a large jar or container. When you are ready to make brownies you need 4 cups of the dry mix for making one 9×13 pan of brownies.